How to Improve Customer Experience Using Speech Analytics? When Siri was introduced by Apple, it was welcomed with wide and open arms by all as the most advanced technological development. Its introduction had simplified many lives as it could interpret the human voice and give back answers in the human voice form. This technology was, then, recognized as one of the finest examples of speech recognition technology or speech analytics. 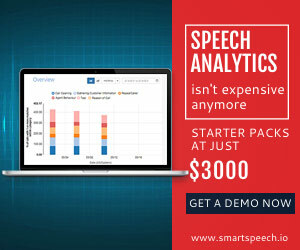 Speech analytics is a powerful business intelligence tool which is employed by multiple industries like banking, insurance and finance to gain accurate insights about their customers. This is enabled by analyzing multiple audio recordings of call interactions between the customer and call center agent. A two-fold process that enables identification and comprehension of spoken words and phrases at its first stage, the second phase enables sentiment recognition and analysis. 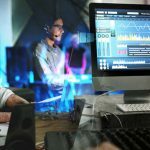 According to a recent report shared by ‘Research and Markets’ in February 2018, the global speech analytics market size is expected to grow from USD 941.1 million in 2017 to USD 2,175.8 million by 2022. This growth would be at a compound annual growth rate (CAGR) of 18.2 percent during the forecast period. An increased focus on attaining higher customer satisfaction would be one of the key factors to trigger this growth. 1. Spot And Solve Problems That Lead To Inefficient Calls. It is a well-known fact that no one likes to stay on hold with a customer service agent. They want their problem to be resolved quickly as excessive silence on call tends to infuriate them. Silence on calls can be due to a number of factors like a slow computer system, poor Wi-Fi network, unnecessarily long process or may be an agent’s need of a break. Identifying these factors is not possible with random call sampling. 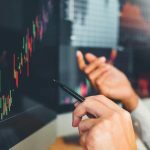 Therefore, the companies utilize their advanced speech analytics tools that help them categorize calls as per their blocks of silence and accordingly, take steps to get rid of these problems. When working as a customer service agent, it is very likely that you are not able to resolve each and every query of your customers. Therefore, it is important to work towards identifying their pain points and start improving your service. This process of ascertaining their pain points can be simplified using speech analytics tools. Speech analytics is an easy and simplified way to identify the extent to which the callers are dissatisfied with your calls. Segregating calls on the basis of caller’s usage of language that reveals his/her disappointment in the form of complaints, high-pitch and customer over talk, analyzing these calls can help in identifying the factors that are making your customers sad. Speech analytics is also an excellent tool to get an insight into your customers buying behavior and purchasing trends. This analysis is reliable as the data analyzed is gathered from all the calls attended by the agents and hence, accurately depict the customers’ buying tendencies. For instance, a smartphone brand found that its customer would prefer to spend more on the maintenance of its current handset instead of investing in a new handset. This helped them to make a sensible decision and start launching more of the support plans instead of new handsets. The company was in the position to define their advertising strategies properly and deliver the most relevant offers to the clients. The requirements of every contact center are different. Therefore, it is important to understand the need of defining and imparting separate training module for the agents in different contact centers. Even though, defining a universal training manual is a much easier approach, utilizing it does not always serve the purpose. 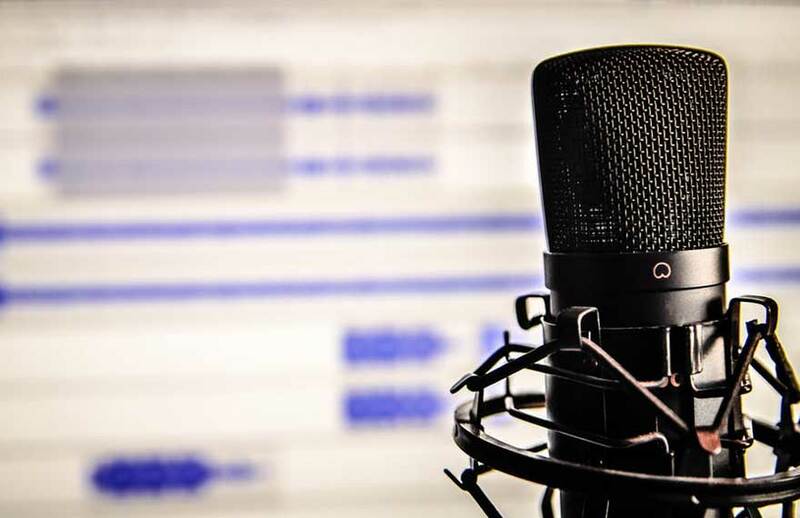 Therefore, it is recommended to analyze the call recordings using speech analytics tool so that the customers’ pain points can be identified and an appropriate training module can be defined for the agents. For instance, when a customer calls a customer service center due to some technical issue, it is the responsibility of the agent to let him/her know that the problem is being fixed. Once fixed, the customer should be notified about the same through SMS so as to improve their experience as well as trust on your service. 5. Better Quality And Management Of Calls. Speech analytics can serve as a great tool to improve and manage your calls better. This is because these tools provide an easy access to the data on calls that have been handled by the customer service executives. 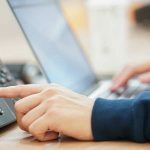 A detailed analysis and scrutinizing of this data allows managers to identify the problem areas in their customer care representatives and provide them with the right form of training. Along with this, it also helps in ensuring that the performance of the call center adheres to the service level agreement (SLA). To attain success, businesses these days are not solely dependent on their core business values and functions. They need to stay a step ahead and utilize the data available with them to the best of its ability. Evaluating it and deriving the relevant statistics using speech analytics is not only helpful in driving revenue but also in delivering the best possible user experience.